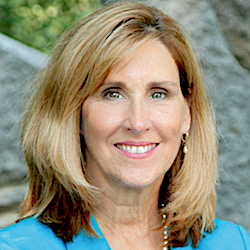 Denise McQuaide has been appointed president and chief operating officer of Waltham, MA-based Benchmark Senior Living’s newly formed wellness management division. She will be responsible for building out the new urban communities division with its specific focus on health and wellness. With more than 30 years of executive health care experience, she joins Benchmark from Mount Auburn Hospital, where she was vice president of post-acute care. In this role, McQuaide oversaw the merger of Parmenter Home Care & Hospice into Mount Auburn Hospital’s home care agency to form CareGroup Parmenter Home Care and Hospice in 2015. Prior to her time with the hospital, she was president of Brickstone Senior Living and COO of Hebrew Senior Life. She also was senior vice president of operations for New England for Genesis HealthCare, where she oversaw five assisted living communities and 60 skilled nursing facilities. McQuaide earned both her undergraduate degree and a Master of Science in Nursing degree from the University of Massachusetts Lowell. Jennifer Speigner has been hired as chief financial officer of Atlas Senior Living in Birmingham, AL. She will oversee all financial aspects, human resources and compliance for Atlas. Speigner joined the senior living industry in 2006 as director of financial services for a Brookdale Senior Living community in Birmingham. During her 13-year career with Brookdale, she obtained her healthcare administrator’s license and served as executive director. In 2012, she relocated to Tennessee, where she served as area director and was promoted to district director of operations, overseeing 14 Central and East Tennessee communities. Recently, Speigner was regional human resources business partner, a multi-state responsibility with the goal to drive engagement and performance of staff members within five regions representing 47 communities. Atlas owns and operates nine communities across the Southeast, in Alabama, Georgia, Kentucky, South Carolina and Tennessee. Mark Maclaine has joined Windsor, CA-based Oakmont Senior Living as vice president of operations. He will play a pivotal role as the company opens several new communities this year and next, Oakmont said. The company has 12 communities under construction. Before joining Oakmont, Maclaine most recently was development manager at Belmont Village, where he led the opening of of several new communities during the past four years. His professional experience also includes positions as project manager for J. Stone Construction and director of operations for water meter company Southern Flowmeter. Maclaine studied business management at Texas State University – San Marcos. Andrea Ellen has been named managing director of new project development for Watermark Retirement Communities. She will oversee operations and branding for communities Watermark is developing. Ellen previously was vice president of marketing and communications for Maplewood Senior Living and chief branding officer for Inspir. Her career spans two decades of executive leadership in the luxury senior housing, hospitality and healthcare industries. Among the communities Watermark is developing is The Watermark at Westwood Village, located in a 14-floor former University of California, Los Angeles, dormitory on the edge of UCLA’s campus. The company also has under development The Watermark at Brooklyn Heights in New York City, located near the Promenade, with views of the Brooklyn Bridge and Manhattan skyline. Other projects are underway in California’s Napa Valley, Tucson, AZ, and elsewhere. Watermark, ranked as the nation’s 13th largest senior living operator by the American Seniors Housing Association, operates more than 50 communities across the United States. Amanda Eberhart has been named managing partner at Vista Springs Senior Living’s Concord Township, OH, location, Vista Springs Quail Highlands. “As a member of Vista Springs leadership team, Amanda will be instrumental in creating new and effective ways of communicating and executing our vision of making lives happier and healthier,” Vista Springs CEO Lou Andriotti said. Vista Spring operates several resort-style assisted living and memory care communities across Michigan and Ohio. Thomas C. (TC) Fraser has been named the new administrator for the not-for-profit retirement community Wesley Bradley Park in Puyallup, WA. The community is projected to fully open in May. Fraser oversees the brand new, 14-acre senior community on South Hill. The campus consists of a Brownstone, which opened in July with 32 apartments, and the Lodge, which has 166 apartments: 99 independent living, 17 memory care and 50 catered living apartments, which are similar to assisted living. For February, his goal is to begin to fill key positions for the campus. Fraser has an MBA with a focus in healthcare and holistic and spiritual wellness from the University of Sioux Falls. Fraser came from a retirement community in Tennessee that received a five-star rating two years in a row. His path in senior care began when he was a child; his mother was a nurse and a nursing home administrator. Craig Karczmer has been named the new executive director of Lantern Hill, an Erickson Living-developed and managed retirement community in New Providence, NJ. In his new role, Karczmer is responsible for ongoing project development, operations and providing vision and leadership for the Lantern Hill community. Karczmer joined Erickson Living in 2014 and has more than 20 years of experience in the senior housing and healthcare industries. He most recently was the executive director at Ashby Ponds, an Erickson Living community in Ashburn, VA. He also was associate executive director at Cedar Crest, an Erickson Living community in Pompton Plains, NJ. Before joining Erickson Living, he was part of a team tasked with opening five assisted living and memory care assisted living communities in New Jersey. Karczmer received his undergraduate degree from the State University of New York at Oswego and his master’s degree in public healthcare administration from Long Island University. Ray Desrochers has been named president and chief operating officer of Cleveland-based OnShift. Desrochers has almost 30 years of experience in leading and implementing growth strategies in software companies. Before joining OnShift, he was executive vice president and general manager of Clinical Solutions at HealthEdge, a financial, administrative and clinical platform for health insurers. During his 12-year tenure with the company, Desrochers helped build and expand every part of the business, according to OnShift, bringing the company’s products to market and accelerating the organization’s growth from an early-stage startup to an established company. Desrochers is known for his passion for innovation and his ability to generate significant shareholder value. He helped lead a successful IPO during his time at Webhire, and he has also held executive-level leadership positions at Amicore, Keyware Technologies and Anchorsilk. Marisa Mangani has been promoted to vice president of sales for Fishman & Associates, Venice, FL. Mangani joined the food service design company in 1994 after designing and operating high-volume international kitchens with Sanders International Ventures. Her prior work history includes being an award-winning chef in New Orleans and Hawaii. She is a certified food service professional who completed her formal studies in Restaurant Management at Portland State in Portland, OR. Fishman & Associates provides food service design to diverse clients nationwide, among them assisted living and retirement communities and healthcare facilities. Michele Vives has been promoted to the position of vice president at Douglas Wilson Companies, a 30-year-old real estate development firm headquartered in San Diego with expertise in senior living as well as advisory receivership and workout services. Vives, formerly a senior managing director, also will be an officer of the company. Over the course of her career, Vives has provided real estate development and advisory services for more than 3 million square feet of construction in senior housing, office, hotel, research and retail projects with a combined value of more than $1 billion. DWC’s new ground-up senior living division, which recently opened a $32 million, 111-unit assisted living and memory care community. Sienna at Otay Ranch in Chula Vista, CA, is the first of up to 10 new senior housing projects planned by DWC over the next five years. Vives was involved in all aspects of the flagship project, including land acquisition, entitlement, financing, overseeing construction management, subcontractor relations, budgeting and visual identity. DWC’s real estate advisory and legacy asset management business platforms, which provide strategic counsel to property owners and developers faced with complex issues. G. Sean Cassidy has been hired as head of partnerships in the newly formed B2B division Seniorly, based in San Francisco. He will be responsible for leading the growth of the partnership team and providing a best-in-class experience for Seniorly’s agent and community partners around the country. Cassidy has spent more than 10 years in the senior living industry, both on the community and lead provider side. Before joining Seniorly, he founded Digital Health Forward, a digital health marketing startup based in San Diego. Cassidy also has held leading roles at Blue Harbor Senior Living and A Place For Mom. Cassidy has an undergraduate degree in finance from Seattle University. Baltimore-based Remedi SeniorCare has added members to the leadership team for its new pharmacy in Downers Grove, IL, which will be the company’s 12th location. The 50,000-square-foot pharmacy is slated to open in the third quarter. Mike Milcarek, PharmD, MBA, has been named the pharmacy’s general manager. He has more than two decades of experience in local and regional pharmacy management. In his new role, he will oversee all operations to ensure compliance with all aspects of preparation for medication administration for Remedi’s customers. Joining as operations manager is Chris Frederick, who has two decades of long-term care pharmacy experience in Illinois. In his new position, Frederick will be responsible for the day-to-day management and production of the back end of pharmacy operations, which include inventory, fulfillment and electro-mechanics.